With this manual for MACOSX, will guide you through the setup of setting up and configuring your OSX device to use VPNXS. 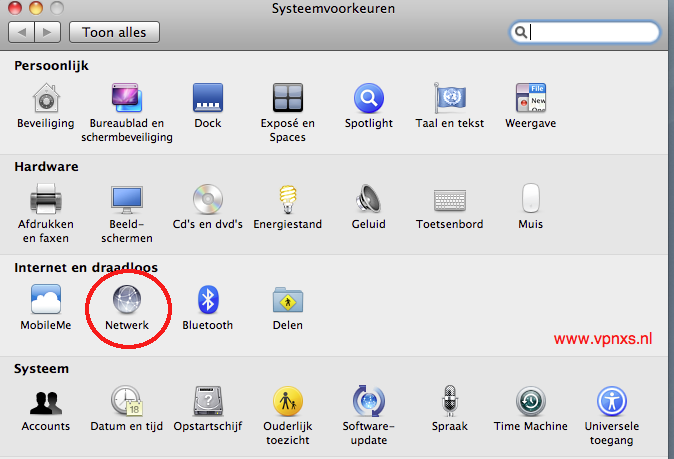 Point to System Preferences on your Mac. Click the plus symbol to add a new connection. 1. Here you will need to fill in the server address which you will use to connect to. Also fill in your username, which you will find in the email you have received from us. 2. 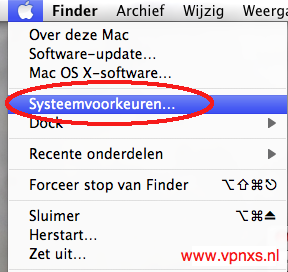 Check the box for Show VPN status in menu bar to. 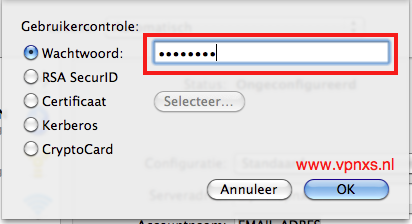 below) and enter your password in password. 4. Go to Advanced and make sure the checkboxes are like the image below. Ensure in each case that the check beside "Send all traffic over VPN connection state"
If you press Connect the VPN connection will be established.